Here’s a honey of a peek at our “Bee Thankful” photo shoot. 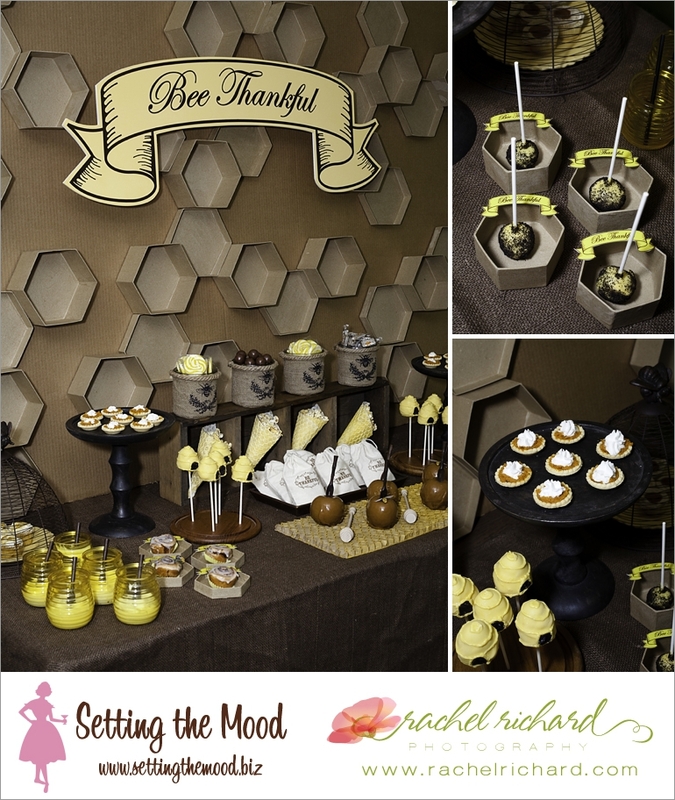 Thank you so much Rachel Richard for you beautiful photography and Starla Portell for the cute yummy bee pops!! This entry was posted in Bee themed party, beehive theme party, candy buffet, sweets table, Thanksgiving party on November 6, 2012 by Setting the Mood.